Bangkok is known as international party destination, drawing a cosmopolitan crowd of fun-seekers. Equally, there’s a thriving gay scene, both locals and visitors alike flocking to the gayborhoods of Silom Soi 2 and 4 every night of the week. It’s a lot of fun and a great place to start a trip to the city. But for the more adventurous revellers, there’s plenty of alternatives for foodies, cocktail lovers, culture vultures and even shoppers. 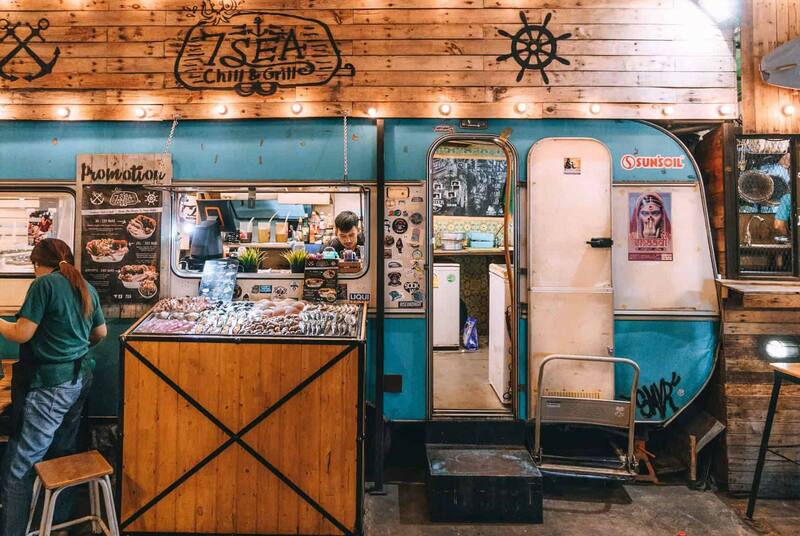 Visiting night markets is the pastime of choice for young, hip Bangkokites. Rot Fai combines dining with vintage stores selling America and Thai-style collectibles and memorabilia. It’s a great hangout for locals, and there are even trendy barber shops and vintage clothiers where you can freshen up your look. The street food scene here is very developed with a mixture of ‘grab and go’ snacks and makeshift restaurants serving up seafood hotpot and noodle dishes to share. This restaurant and bar is a true hidden gem. It’s built in an old villa, painted bright pink and inside, the decoration is equally whimsical. Start with a cocktail at the bar (the Kaffir lime leaf-infused gin and tonic is not to be missed) and proceed upstairs to the eclectic dining room where you’ll enjoy in creative Thai and Asian inspired dishes with a range of influences and flavour profiles. Nightmarkets are all the rage in Bangkok, particularly among Thai youth. It’s not just a place to shop, but to socialize too. This atmospheric bar is full of character, situated in a restored Chinese-style shophouse in the shabby-chic neighborhood of Charoenkrung. It’s a real hangout for local Bangkokites, young professionals and trendy hipsters alike. The real soul of the place is that they eschew bland, international music and drinks and focus on an authentic local experience. As such, you can expect handcrafted cocktails using Thai spirits and finished with Thai aromatics and fruit flavours. If you choose to sit on the second floor, you can choose low tables with floor seating, or the more comfortable Western-style tables – plus your drinks will be carried up to you via a bucket on a string. Live traditional music is also on offer nightly, and don’t be surprised if the local sitting at the next table start to join in when they hear their favourite tune. 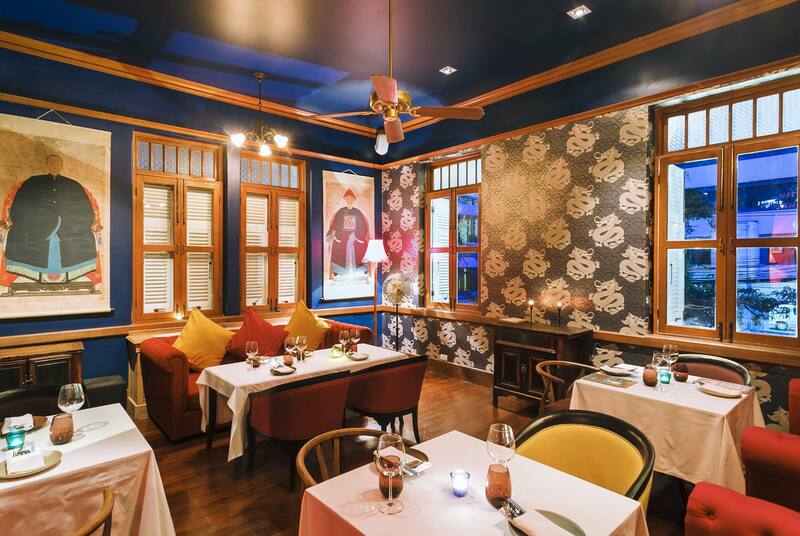 Located on a quiet street away from the hustle and bustle of surrounding Silom, this cosy yet chic restaurant is a great place to spend an evening. The owner and chef Anon prepares a menu of Thai-style ‘tapas’ meaning you can sample a range of dishes that use traditional Thai ingredients in inventive and delicious ways in one evening. The warm and friendly staff, including chef Anon himself, make this a wonderful place to spend the evening or drop in for a snack before heading out to the gayborhood. Held every February by the French Embassy, this celebration of Thai arts and creativity is held at multiple venues across the city over two evenings. As well as special exhibitions and installations, visitors also have the chance to meet local artists, and attend talks, screenings, performances and even live music, in galleries spanning Sukhumvhit, Sathorn, Riverside and Silom. As well as free entry to the galleries, art fans can enjoy conveniently located rest stops where they can grab a drink and recharge before heading to the next hotspot.